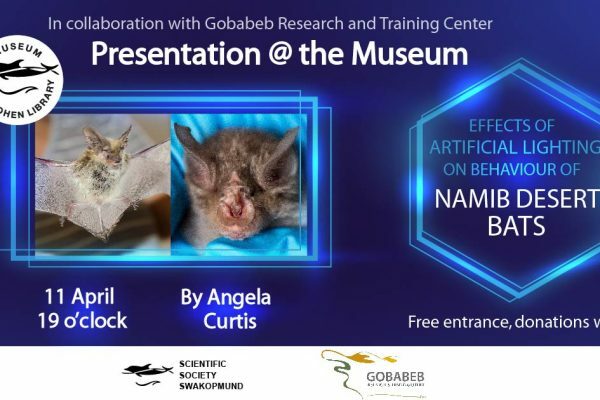 On Thursday the 31st of January at 7pm we present the lecture titled “Tiny creatures, big jobs” in the Swakopmund Museum Lecture Hall. 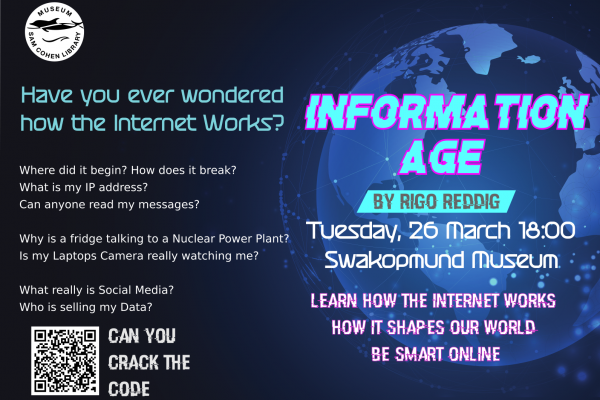 The speaker will be presenting the topic in English. 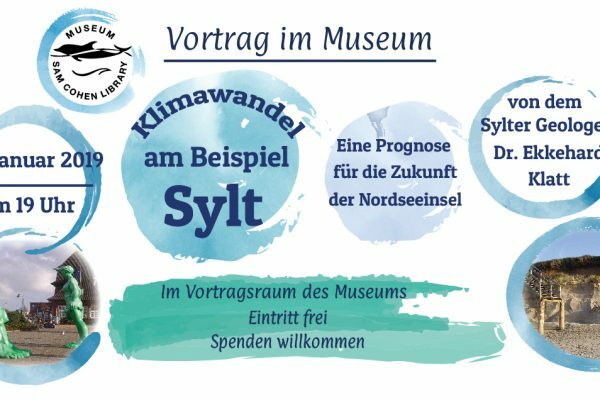 As always the entrance is free of charge, as a contribution to the Scientific Society & Museum we kindly ask for a donation. 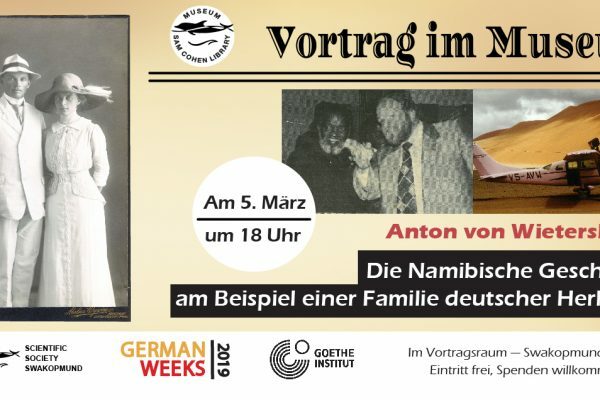 Although we cannot see them, microscopic organisms cover the Namib. And like their larger relatives, these tiny creatures must find ways to tolerate the many stresses of life in a hot, dry desert. To do so, these bacteria and fungi live many different lifestyles in every habitat across the desert. They can be found swimming around in saltwater springs, residing under rocks on dry gravel plains, gliding in on fog from the ocean, and even living inside the tissue of live plants. In all of these habitats, they perform important jobs, without which, many of the plants and animals that we recognize and love could not survive. 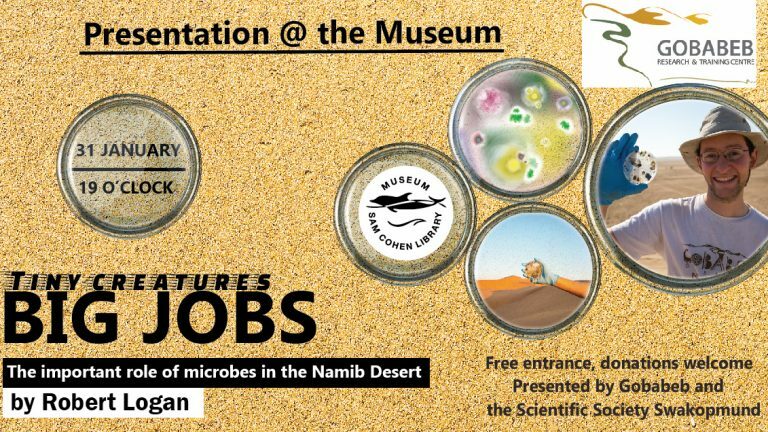 In this talk, Robert Logan will talk about the microbes of Namib Desert, where they are, how they live in such a dry landscape, and the important role they play in the desert ecosystem overall. On his excellent Blog, you can find some great pictures depicting some of these microbes, in addition to a lot of interesting information. Robert Logan has worked in the Namib since 2012 and is currently a PhD Candidate in Dr. Sarah Evans’s Lab at Michigan State University. He previously worked as Training Coordinator and a research technician at the Gobabeb Research and Training Centre, where he conducts field research in collaboration with Gobabeb researchers.